Dr. Wolfteich’s teaching and research interests include Christian spirituality; theologies of vocation, work, and family; lay spirituality; religion and public life; American Catholicism; and spiritual autobiographies. She co-directs the Center for Practical Theology. Her publications include: Motherwork, Public Leadership, and Women’s Life Writing: Explorations in Spirituality Studies and Practical Theology (Leiden, the Netherlands: Brill Publishers, 2017); Catholic Approaches in Practical Theology: International and Interdisciplinary Perspectives, co-edited with Annemie Dillen (Leuven, Belgium: Peeters Publishers, 2016);Invitation to Practical Theology: Catholic Voices and Visions (ed.) (Mahwah, New Jersey: Paulist Press, 2014); Sabbath in the City: Sustaining Urban Pastoral Excellence, co-authored with Bryan P. Stone (Louisville, Kentucky: Westminster John Knox Press, 2008); Lord, Have Mercy: Praying for Justice with Conviction and Humility (San Francisco: Jossey Bass, 2006);Navigating New Terrain: Work and Women’s Spiritual Lives (New York: Paulist Press, 2002); and American Catholics Through the Twentieth Century: Spirituality, Lay Experience, and Public Life (New York: Crossroad Publishing Company, 2001). Dr. Teddy Hickman-Maynard joined the faculty at Boston University School of Theology in 2015 as Visiting Assistant Professor of Evangelism and Church Renewal. In 2017, he was appointed Assistant Professor of Black Church Studies. Dr. Hickman-Maynard’s research addresses the public witness of the church in contemporary American society with particular emphasis on the future of the Black Church tradition. He has previously conducted research of collegiate gospel choirs and their utilization of Black Church worship practices in the creation of multi-racial and multi-religious communities of faith formation and practice. He is currently researching the work of church renewal in the Wesleyan tradition, focusing on congregations in the United Methodist Church and the African Methodist Episcopal Church. In addition to his academic work, Dr. Hickman-Maynard is also an ordained elder in the AME Church with over 20 years of ministry experience as a senior pastor, youth pastor, minister to men, minister of worship, and faith-based non-profit administrator. Kathryn is a doctoral candidate in Practical Theology. Her research interests include constructive and feminist theologies, soteriologies, intersections of race, gender, and sexuality in evangelical Christian traditions and ecclesiologies. Kathryn is ordained in the American Baptist Churches, USA and the Alliance of Baptists. She is a member of The First Baptist Church in Jamaica Plain, MA. Dr. Calvillo teaches courses at the intersection of sociological methods and lived religion. He is part of the Latino Protestant Congregations project, a Lilly funded national study on Latino churches. He has also conducted extensive community based research on Latino Catholic and Protestant churches. His work is particularly attuned to how urban contexts shape congregational experiences and how demographic change relates to religious change. Mary Elizabeth Moore is Dean of the School of Theology and Professor of Theology and Education, Boston University. Her passion is to journey with others to cultivate deeper faith, compassionate humanity, and a more just, peaceful, and sustainable world. She feels privileged to work toward those ends with colleagues in Boston University and around the world, especially in the practices of knowing the Holy, building justice, resisting violence, and caring for the earth. Her books include: Teaching as a Sacramental Act; Ministering with the Earth; Covenant and Call; Teaching from the Heart; andThe United Methodist Diaconate(co-authored); plus three edited volumes,Children, Youth, and Spirituality in a Troubling World; Practical Theology and Hermeneutics; and A Living Tradition: Critical Recovery of the Wesleyan Heritage. She has engaged in interreligious relationship-building in local, professional, and academic settings and is presently working on a project to develop interreligious approaches to practical theology. Courtney T. Goto is Associate Professor of Religious Education at the Boston University School of Theology and a co-Director for the Center for Practical Theology. She is the author of The Grace of Playing: Pedagogies for Leaning into God’s New Creation(Pickwick, 2016). Her research and teaching help students and congregations to engage in aesthetic theological reflection. For example, in her course, Doing Theology Aesthetically, students explore their theological questions through art. 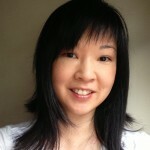 She has written about it in an article titled, “Reflecting Theologically by Creating Art: Giving Form to More than We Can Say,”Reflective Practice: Formation and Supervision in Ministry 36, http://journals.sfu.ca/rpfs/index.php/rpfs/article/view/426/413. Goto's interests include helping churches address issues of racism with and through art, building on her Japanese American congregation’s experience of using art to address issues of race, faith, and memory. The Rev. Dr. Wanda Stahl is an ordained Deacon in the United Methodist Church. Prior to accepting her position at BU, Wanda served as Director of Christian Formation for the New England Annual Conference of the UMC for 12 years. Wanda received her M.Div. from Boston University School of Theology and her Ph.D. in Theology and Education from Boston College. She has completed programs in Individual Spiritual Guidance and Leading Contemplative Prayer Groups and Retreats from the Shalem Institute in Washington, DC and considers it a privilege to accompany people on their faith journeys in a variety of settings. Her professional study and leadership have been in adult spiritual formation and equipping leaders for ministry in a post-Christian world. Her current research interest involves exploring the connections between eco-spirituality and sustainability practices in Christian communities. David Schnasa Jacobsen is Professor of the Practice of Homiletics and Director of the Homiletical Theology Project. In his most recent research, Jacobsen has explored the relationship of a more "public" theology of Word and Sacrament to classic Reformation emphases on disenchantment, vocation, and the affirmation of the ordinary with the goal of renewing the disestablished mainline church's engagement in a pluralistic public square. His books include: Theologies of the Gospel in Context: The Crux of Homiletical Theology (Cascade Books, forthcoming); Homiletical Theology in Action: The Unfinished Theological Task of Preaching (editor and lead contributor; Eugene, OR: Cascade Books, 2015); Homiletical Theology: Preaching as Doing Theology (editor and lead contributor, Eugene, OR: Cascade Books, 2015); Mark. Fortress Biblical Preaching Commentary Series (Minneapolis: Fortress, 2014); Kairos Preaching: Speaking Gospel to the Situation, co-authored with Robert Kelly, (Minneapolis: Augsburg Fortress Press, 2009); New Proclamation: Year C, 2007, Easter through Pentecost, co-author, (Minneapolis: Augsburg Fortress Press, 2006); Preaching Luke-Acts, co-authored with Dr. Günter Wasserberg, (Nashville: Abingdon Press, 2001); and Preaching in the New Creation: The Promise of New Testament Apocalyptic Texts (Louisville: Westminster John Knox Press, 1999). Bryan Stone has served as Associate Dean of Academic Affairs since January, 2011 and as the E. Stanley Jones Professor of Evangelism in the School of Theology since 1998. He has a background in new church development, urban pastoral ministry, and faith-based non-profit development. His most recent books are: A Reader in Ecclesiology, Evangelism After Christendom: The Theology and Practice of Christian Witness, and Sabbath in the City: Sustaining Urban Pastoral Excellence, co-authored with Claire Wolfteich. His research, publishing, and teaching interests are in the areas of evangelism, congregational development, urban ministry, ecclesiology, theology and popular culture (including especially film studies), Christian pacifism, and Wesleyan, liberation, narrativist, and post-liberal theologies.